Since my last posting, I've continued to play with abstractions in a square format. 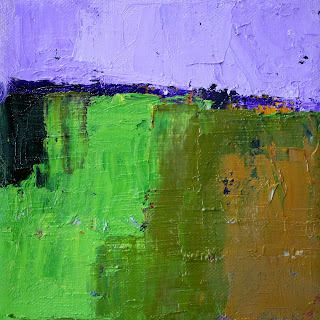 Using palette knives and oil paints on canvas, I've found the delight of experimentation with color and texture. Nature has continued to inspire me. 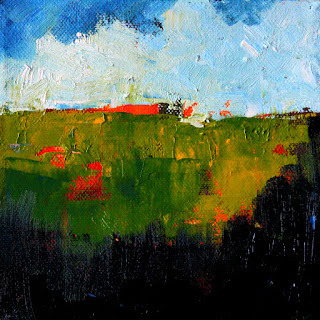 The color of the land, the sky, and the horizon line have been pulled and pushed as their reality moves into a place in my imagination and appears in a new form on the canvas. 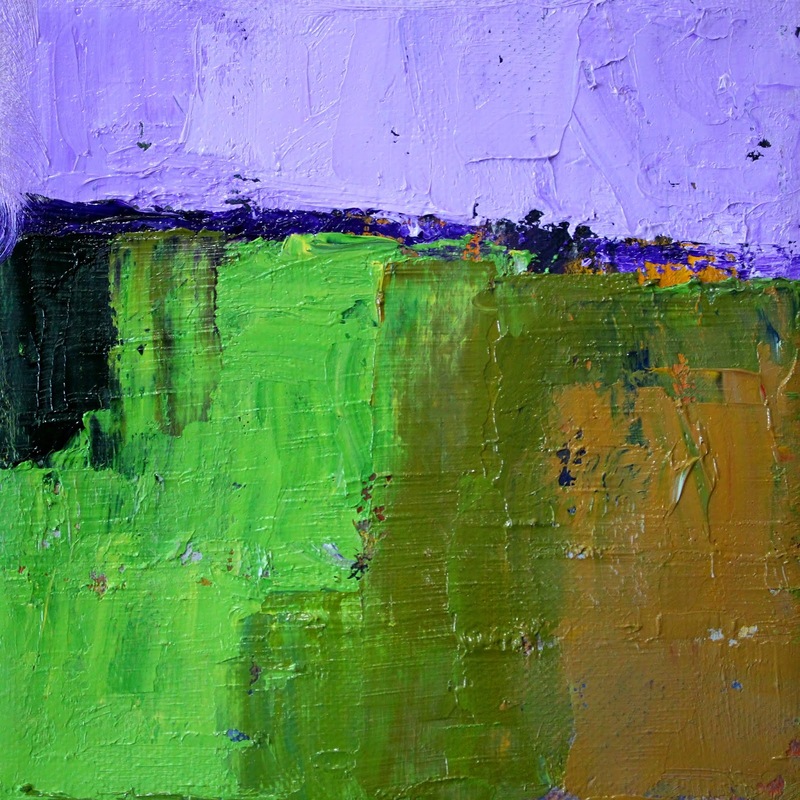 More in the series can be found here as reproductions. My originals in the series are here. I still work on landscapes, still life paintings, and a few little birds and animals, but right now these little squares are personally the most rewarding.